In this document 'Exotic' shall describe all shorthaired Exotic cats, and 'Exotic Longhair' shall describe all longhaired Exotic cats. 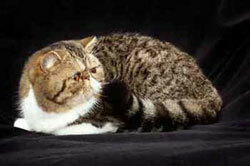 The Full Register is for Exotic cats of colours/patterns recognised for Championship status that have, in their preceding three generations (parents, grand-parents, great grand-parents), Exotic or Persian cats of colours/patterns recognised for Championship status or Exotic Longhair cats of colour/pattern as recognised for Exotics with Championship status. 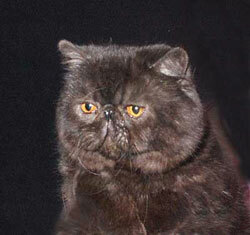 Supplementary Register is for Exotic cats of colour/pattern recognised for Championship status that have, in any of their preceding three generations (parents, grand-parents, great grand-parents), Exotic, Persian or Exotic Longhair cats of colours/patterns granted at least Provisional recognition. 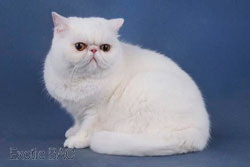 The Supplementary Register is also for Exotic cats of colour/pattern granted at least Provisional recognition that have at least one parent registered on the Experimental Register and of colour/pattern granted Provisional status. 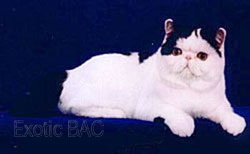 If one of the parents is not registered on the Experimental Register, that parent shall have in the preceding three generations (parent, grand-parent, great grand-parent) Exotic, Persian or Longhair Exotic cats of colours/patterns granted at least Provisional recognition. 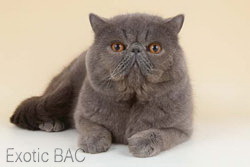 NOTE: Exotic cats with British Shorthair parents, grand-parents or great grand-parents that were eligible for Challenge Certificates on 25 October 2000 shall continue to be so and so shall their suitable progeny for three generations from 25 October 2000. Suitable progeny born during this three generation exemption period shall be placed on the Supplementary Register. Thereafter, the Policy above shall become fully effective. Progeny of cats on this Register shall automatically be placed on the Full Register when the criteria for entry to the Full Register are met. 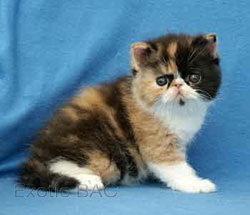 The Experimental Register is for Exotic Shorthair cats of colour/pattern granted Preliminary status. Exotic cats shall move automatically from the Experimental Register to the Supplementary Register when Provisional recognition of their colour/pattern is granted. 1. 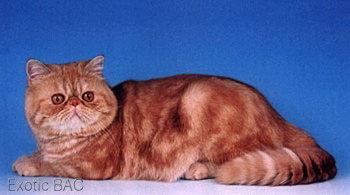 The Longhaired progeny of Exotic or Exotic Longhair and Exotic, Exotic Longhair or Persian of colour/pattern as recognised for Exotic cats of colours/patterns that have been granted at least preliminary status shall be registered on the Reference Register as Longhaired Exotics unless otherwise directed by a Persian Registration Policy. 2. 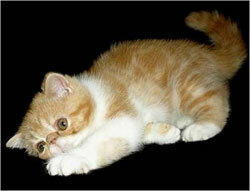 Exotic and Exotic Longhair of unrecognised (i.e. 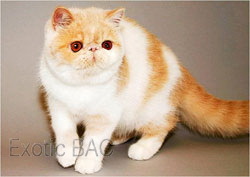 not yet granted Preliminary recognition) colours or patterns, that have in the proceeding 3 generations only Exotic, Exotic Longhair or Persian cats shall be registered on the Reference Register providing that the requirements of an Exotic SAC approved breeding programme have been met. 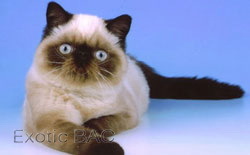 Exotic or Exotic Longhair cats of unrecognised colour or pattern that do not meet an Exotic BAC approved breeding programme shall be registered as "no recognised breed" with no progression. 3. 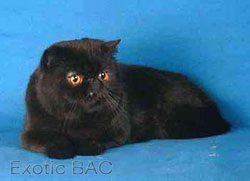 Cats that have in any of their preceding three generations (parent, grand-parent, great grand-parent) a cat or cats of another breed section shall not be registered as an Exotic or Exotic Longhair unless the requirements within an Exotic BAC approved breeding programme are met. 4. 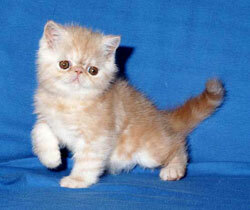 Cats that have in any of their preceding three generations (parent, grand-parent, great grand-parent) a cat or cats that are unregistered shall not be registered on the Exotic Register. 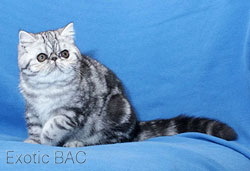 Exotic cats shall move automatically to the Experimental Register from the Reference Register when Preliminary recognition of their colour/pattern is granted. 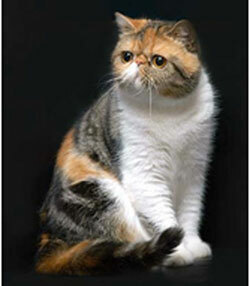 For further information please contact the Secretary of the Exotic Breed Advisory Committee.